Description: Darice Foamies Stickers are fun basic embellishments that kids love. 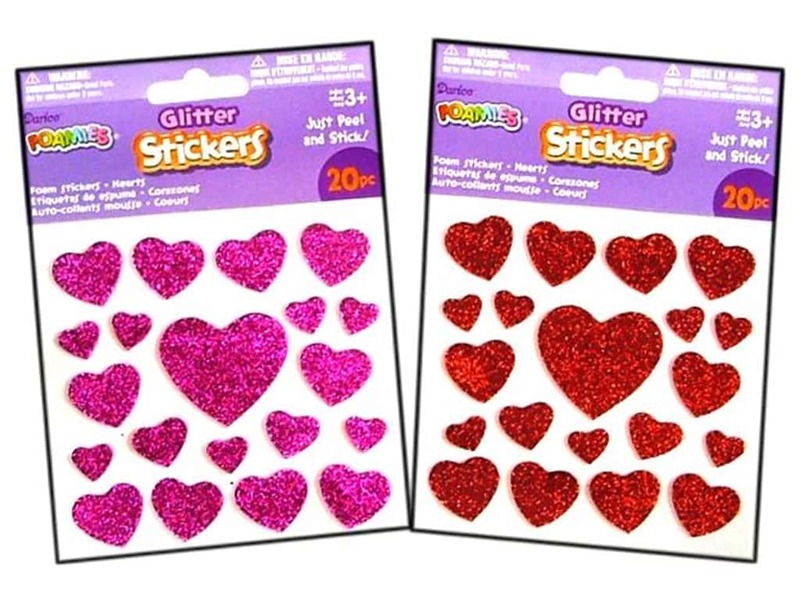 Glitter Hearts Red/Pink Stickers includes 20 heart stickers covered in glitter. Assorted colors, package may come with either Pink or Red. Largest measures approximately 1 1/2 inch. 20 pc.